What Does it Really Mean to Work as a Team? In our ever-changing health care environment, team-based and similar terms, like integrated care and interprofessional education and collaboration, have become buzzwords. The concept seems simple enough: work together within your practice, just like you’ve been taught to do since kindergarten. But when it comes to health care, working as a team can be anything but simple. 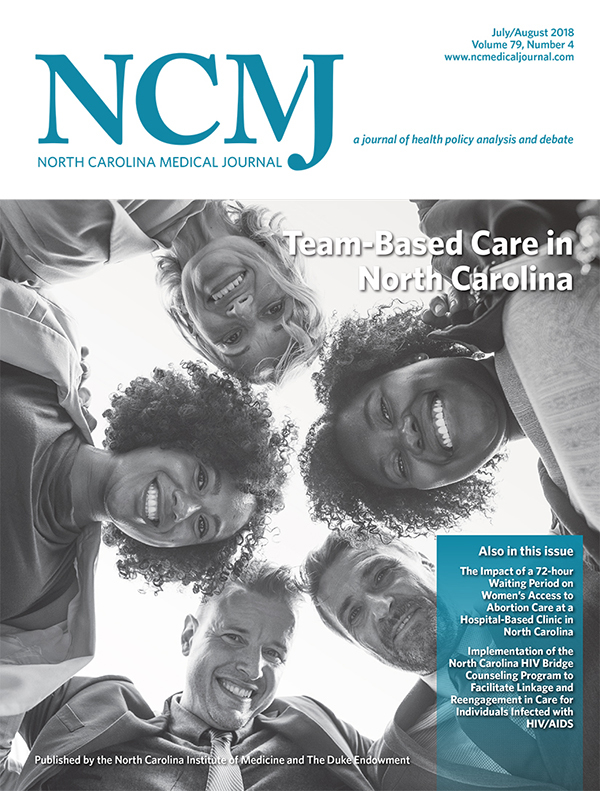 In the latest issue of the North Carolina Medical Journal, authors take a deep look at what really makes a team a team. Head over to ncmedicaljournal.com to read the whole issue.